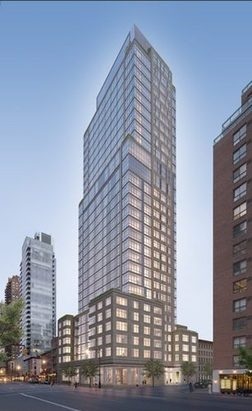 Developer: HFZ Capital project; Architect: SLCE Architects; Built in 2013; 32 floors, 121 units; Doorman, Pool, Aqua Spa, Gym, Sauna. 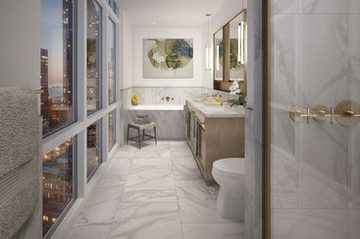 ​HALCYON is a luxury new condo in Midtown East, in proximity to the United Nations. 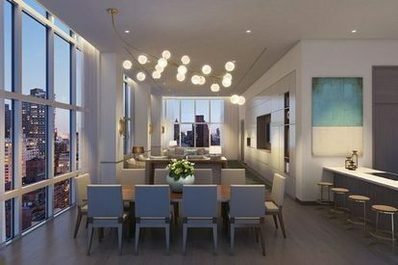 Each of its 123 one- to four-bedroom units of this 32-story condo enjoys 10-foot ceilings, oak wood flooring, double-paned energy-efficient windows and spa-like master bathrooms with honed marble and brushed bronze fixtures. 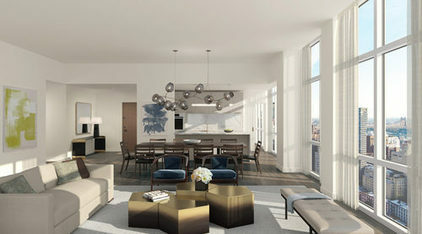 Prices range from $1.565 million for a 1,000 sfuare-foot one-bedroom and goes up to $6.775M for a 3,078 square-foot four-bedroom duplex. 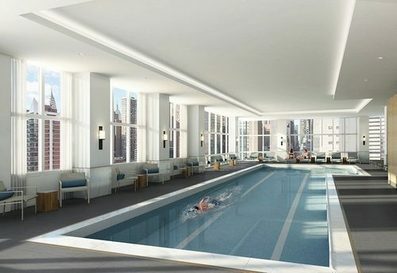 Halcyon has two floors of amenity space, including a 52-foot-long lap pool, spa and sauna.